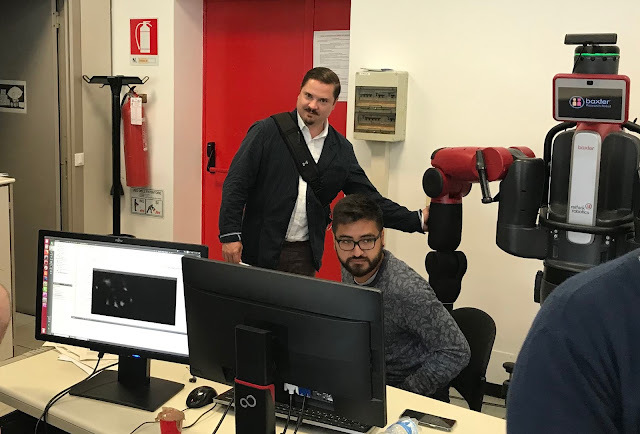 Global Seminars: Day 9: Tours of the University of Genova and lots of robots! Day 9: Tours of the University of Genova and lots of robots! 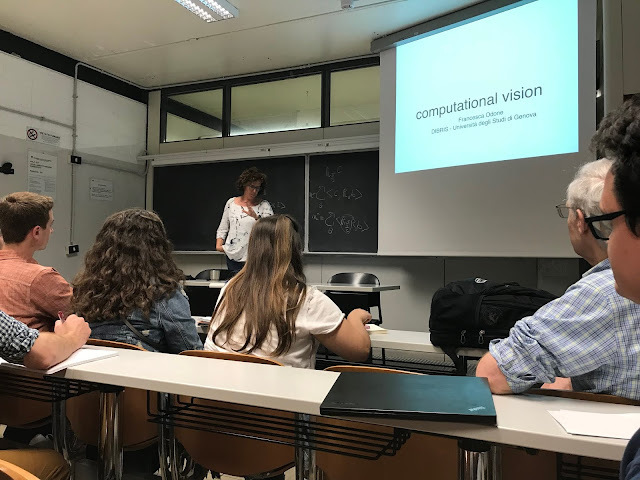 Today we traveled to the University of Genova and visited the Department of Informatics, Bioengineering, Robotics & Systems Engineering (DIBRIS). Our host, Professor Lorenzo Rosasco, set us up with a morning filled with presentations about Computational Vision, Motion Analysis, Deep Convoluted Neural Networks, and lots of Linear Algebra. Each presentation was packed with beautiful visuals and groundbreaking research. We went out to lunch at a local restaurant with some of the Ph.D students from the team. It was a great opportunity for us to ask questions about what its like in academia in Europe. After lunch we got a chance to tour many labs within the University. We visited an autonomous boat and submarines lab, a chair built for VR, bio-inspired vision system, even a robot skin lab. In the picture below, you can see Adam touching the skin and the handprint registering on the monitor. One of our favorite labs was home to Pepper and the Caresses project. This lab is developing a culturally aware robot and environmental sensor systems for elderly support. Pepper is designed to hold conversations and provide additional assistance within hospitals and nursing homes. Pepper moved around, tracked facial expressions, and asked how we were doing. We even discovered an “easter egg” where Pepper asked one of us for a fist bump! 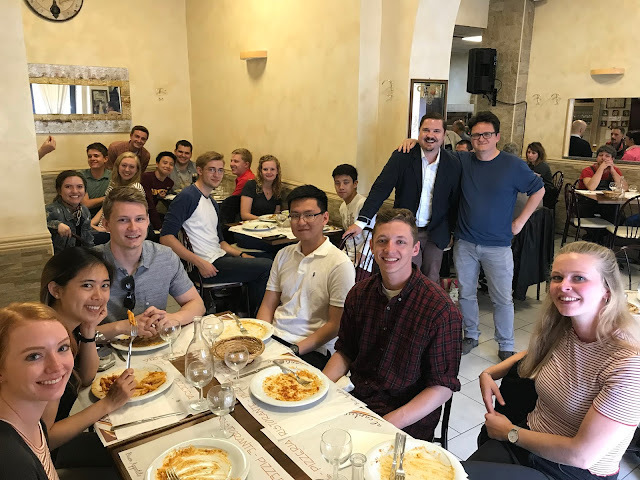 This was a full-day lab tour, so we are super excited to get some sleep, wake up, and travel to the Cinque Terre region tomorrow! It's nice to check this page for me. I hope I will meet you one day. It will be a pleasure.